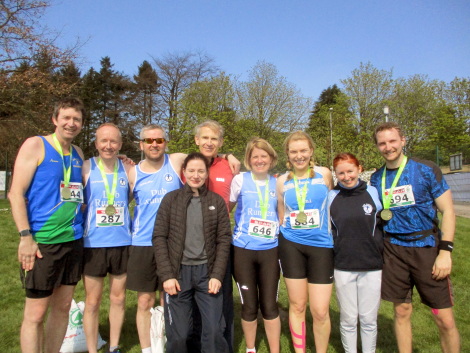 Find out about our races in Belfast, Omagh and Manchester over the jump! 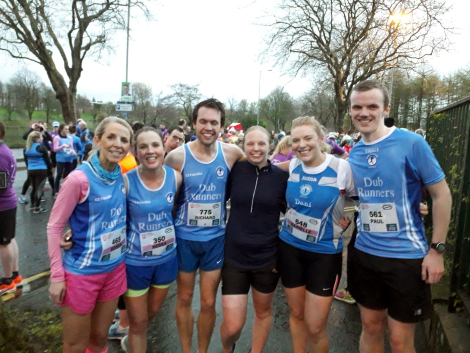 A Dub, who we all know and love, has christened us as “The PB Club of the Year”. To say that at the end of the year would be impressive, but to say it by the end of March shows the dedication of every single one of our runners who are pushing themselves to beat their bests. You know I can’t believe that they cancelled Vivaldi after just four seasons. Let’s take a look at who was running this week! 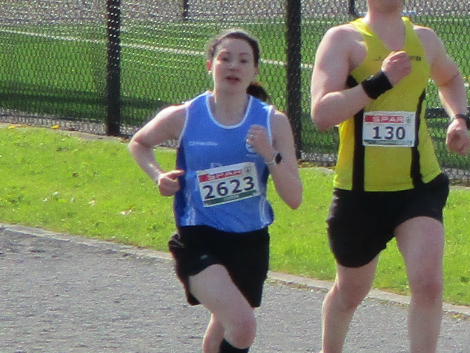 575 Danielle McCluskey 00:25:15 New PB! Lagan: There's nothing Lagan about these Dubbers! 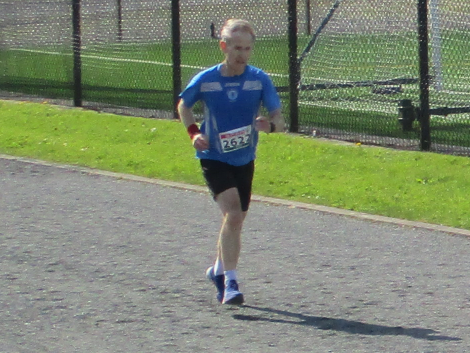 78 Jim Larkin 01:24:39 Smashing New PB! 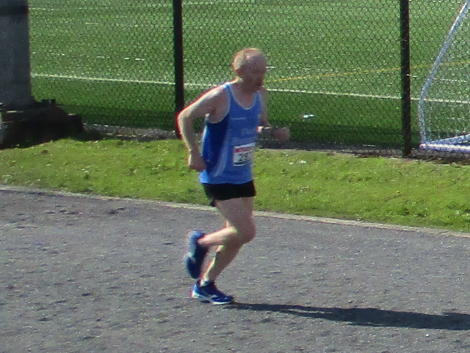 Omagh: PB bound Jim heads for the line! 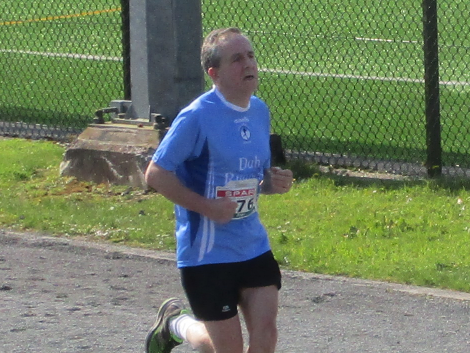 Omagh: Brian D focused and strong at the end! Omagh: Collette showing off a great backward arm drive! Omagh: The Pocket Rocket pushes through to the finish. Omagh: Consistant Brian is almost home! Omagh: Paul heads for the line on home turf! 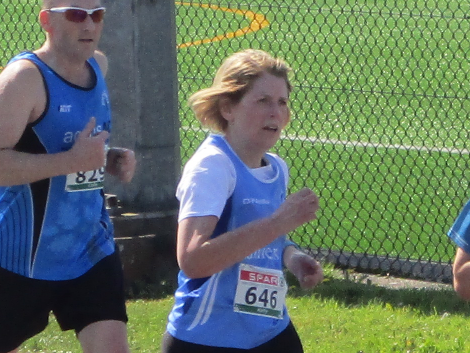 Omagh: Kathy powering through to a great finish! 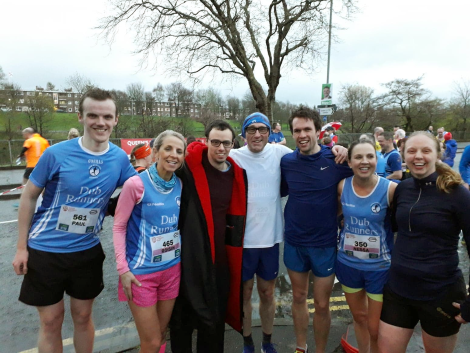 Omagh: Dubs and friends celebrate a job well done! 1142 Gavin Creech 03:09:45 Marvellous New PB! Manchester: Gavin celebrates a PB with a refreshing drink! 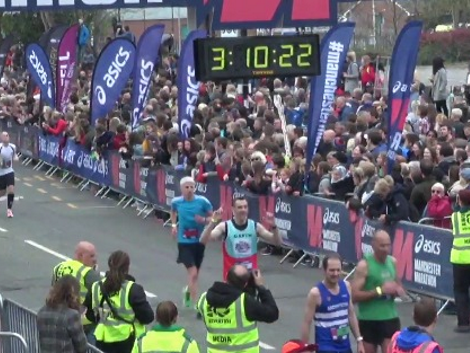 Manchester: Can you spot Gavin at the finish? 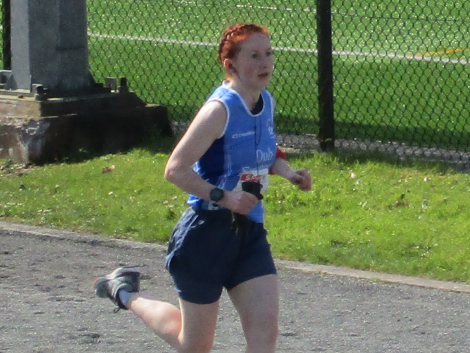 Joanne MCGLONE 00:31:53 Newbie PB! Roisin BYRNE 00:24:10 3rd Place! New PB! Nessa AGNEW 00:24:11 New PB! Natalie CONNOLLY 00:21:58 3rd Place! 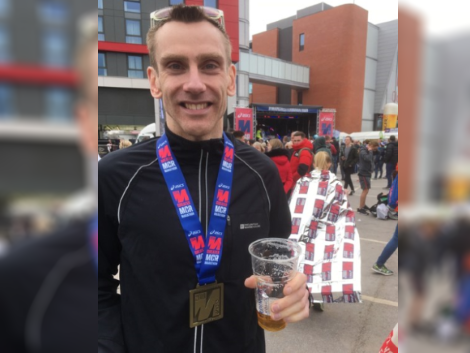 Peter MORRISON 00:19:17 Newbie PB! Steven TODD 00:19:19 1st Place! Newbie PB! 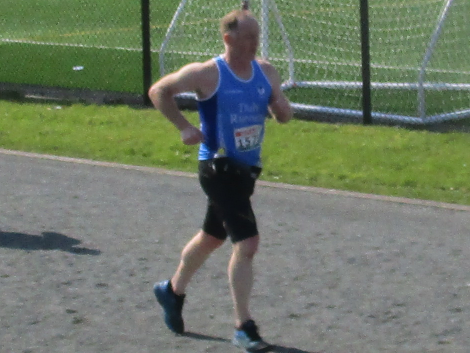 Ronan O'FLAHERTY 00:24:06 New PB! Rose MCCRORY 00:30:46 New PB! Mike SMITH 00:25:26 Newbie PB! parklife: Ronan, Rose, Marty & Steven pelted round Stranmillis College. 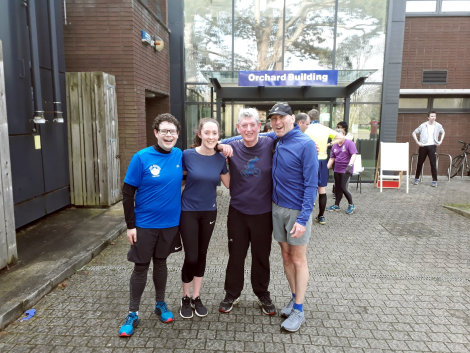 It wasn’t the most jam-packed week ever – but it was jam packed full of outstanding running and teamwork – and that is what we love to see here at Roundup Towers. Easter is fast approaching, so we’re going to have lots of races on – so if you’re doing something random, give us a heads up and we’ll make sure that you’re included! I don’t mean to brag, but I’ll have you know that I made six figures last year – so they named me the worst employee at the toy factory!